Generation of natural and traditional method performed by experienced hands. (No needle pick and not through laser). Use of natural herbs, liquid and cream application. No Scar (Cooperative with master). Minimum of RM10 per mole. (Charges will depends on the size of the mole). The founder, master Lee Zhao Yong was born in GuangDong, China. Since Young,he has been learning face and body fortune telling relating to moles and Feng Shui.Master Lee has came to Malaysia at the age of 17 to help his dad in managing the shop.He was very interested in the face fortune telling and with his potential and capability, he has set up a small stall beside his father’s shop as he secondary income generator. After his father passed away,he went to Singapore to further expand his business .He also get a master to learn more on the face fortune telling and started up the business with some of his good friends as partner.After some years,Master Lee still decided to come back to Malaysia,and set up a stall at the temple“si shi ye”.Hence he started his business at a shop which is situated at the 1st floor of “Le Yuan” coffee shop. 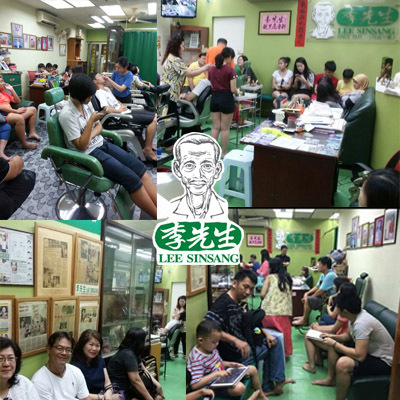 Master Lee face-fortune telling centre is the first ever professional centre in Kuala Lumpur .Having 70 years experience in this fortune telling business, Master Lee has started to use “ Lee Sin Sang “ as his trademark to start the business since 1941 . Seven years ago, you will be greeted with a nostalgic experience of going through a narrow and dark tunnel of stairway had you pay a visit Master Lee's shop. 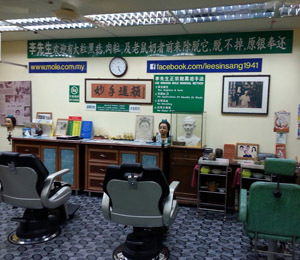 Today, Master Lee's shop has moved to a well furnished building across the street, on the second floor, Suite 2.12 (Opposite Nam Heong Restoran) China Town. Master Lee's has been an abiding interest in removing moles because it is a meaningful job and he is honoured to be able to serve the public, which is a destiny that gives him a deep sence of satisfaction. He is proud and glad to have successors to continue his family's legacy. Currently Master Lee's and his wife Fong Weng Hua are blessed with his daughter have mastered his skill. These techniques have survived six generations and will continue to be inherited. Master Lee's eldest daughter Janet even willing to give up her high salary job to join his father's profession as this is very meaningful, and she can understand why her father spend his whole life in the same job. Janet said, after following his father for so many years, the best part of it & the satisfaction & mission when she saw the customer outlook accomplishment appearance becoming blooming & everything turn smoothly for them. Tukang tilik Nasib Lee SinSang over the years has become a familiar household name. Beware of imposter, no branches. 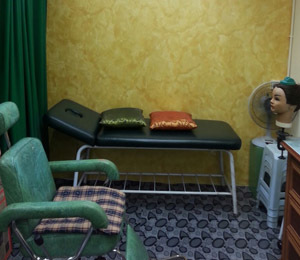 His popularity in the mole removal profession has attracted countless customers, stretches from Klang Valley to as far as India, Japan, Taiwan, Hong Kong, Holland, Singapore, Thailand and Australia. With photo as prove, well-known in the global market. Vanity is natural to humanity. To have a mole on an appropriate spot of the face could be a blessing in disguise as it might and to one's attractiveness. However, this is not always the case such as having a mole on the edge of the nose or worst still, on the tip of it. Added with unwanted attention, the situation is worst than a face full of pimples, which warrants immediate removal. On the topic of fortune-telling related to mole on the face, the good moles such as the one grown in between the eyebrows represents good luck and wealth, or prosperity if it is found above the eyebrow, grown inside the ear means wisdom. As for bad moles such as the one above the eyelid represents family dissonance , it is categorized as the mole that could destroy one's possession. Other bad moles include the one on the nose, which means having tough financial condition; at the edge of the nose represents the look that is troubled by sickness; the mole besides the mouth can lead to food related disaster; below the eye represents the anxiety for kids and etc. According to general books on face fortune-telling, most men and women are taboo of having a line of moles below the corner of their eyes. For men, these moles represent a troubled life, detrimental to wife and prone to having a disastrous. Woman who have it are considered to be bringing bad luck to their husbands. Everyone has either big or small moles on their body. Generally people only view black or purplish wart as mole but this is not utterly correct. According to the definition provided by "The Latest Han Dictionary" published by "Lian Ying", moles are a type of skin disease, seen as green, red or dark brownish spot or wart, mainly caused by hereditary blood vessel lump or lymphatic lump; some are also caused by skin pigmentation; there are, without symptom of pain or irritation. From the scientific point of view, a mole is not harmful. People usually consider it as "bad mole" and refuse to remove it. However, most people believe having it removed can help in their undertakings. 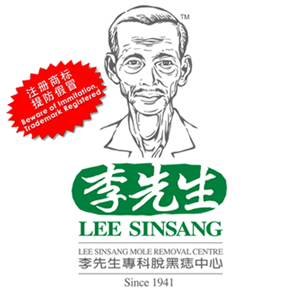 Based on Mr Lee's many years of experience, he was witnessed many weird moles such as a column of hump-shaped moles, mushrooms-shaped moles, tooth skin as well as lump and etc. The biggest mole he ever witnessed measured at a staggering size of 50 cent coin. Corns are commonly caused by two factors. The first factor is stress, for example virus emitted by the skin's filtering system. Most people contracted it on the leg, some at the fingers, back body and even eyes. In actual fact, corns can grow on any part of body. A basic understand of Moles. No. 18 - Constantly worry about insignificant and minute. No 12 - Suffering from and generating lots of gossips, dishing and tattling. These are some of the worst mole positions on face regardless of supersititious or beliefs, getting rid of the moles will make you look more pleasant and beautiful. Free consultation on negative and positive moles. Q:	The method of Lee Sinsang to remove the moles? Q:	Do you differentiate between good moles and bad moles in doing face fortune-telling? 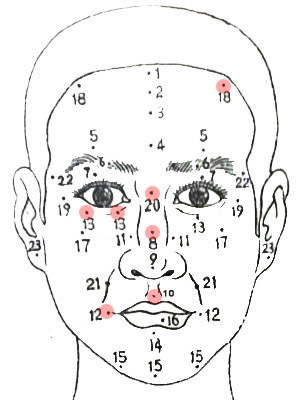 A: All master Lee's customers must understand the relation between the mole position and its corresponding meaning before the moles are removed. These are the fund a mental principle of our profession. Q:	How you remove the mole? A: We either use herbal solution or herbal cream to apply on skin depending on the condition of the mole, corn wart, oil seed, freckles, pigmentation, etc. Q:	How much is the fee? A: The price starts from RM10 each mole, depending on its size. Q:	Can a person with skin allergy undergo mole removal ? A: Our method of removing moles is very safe, No blood will be Shed and we welcome people with skin allergic problem, students and diabetic patients. Q:	Are you only specialising in face mole ? A: Master Lee is the pioneer in this profession since 1941, with over 70 years of experience under his belt. We are also the first is South East Asia to provide whole body inpection if good and bad moles for our customers. Q:	Are there wounds and scars in removing the mole? pain? A: The treatment only affects the epidermis and does not harm the dermis. We apply unique techniques and use high quality ingredients, which are effective, painless and economical. Q:	What is the highest record of moles removed from a single person? A: The highest record by master Lee was set in 2012 by one person who was all his 165 (face) moles and Body(130) moles removed. 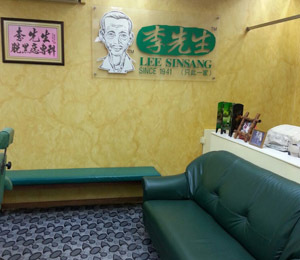 All customer can see the photo at Lee SinSang mole removal centre. Q:	Do we need to avoid seafood after removed the mole? A: You can eat all seafood after removed the mole.